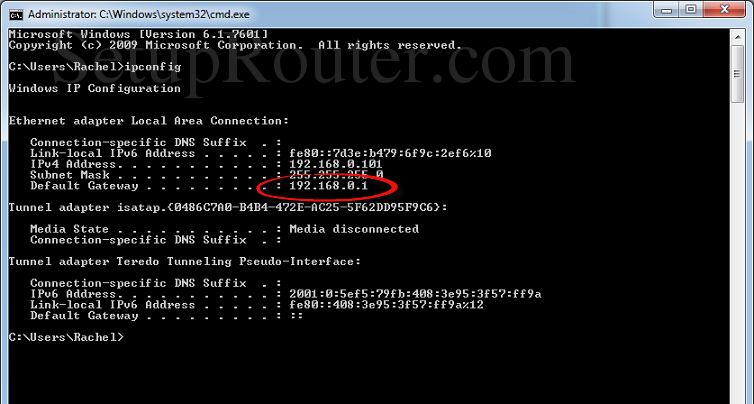 What is my Router's Internal IP address? There are many ways of finding your routers internal IP address. We will cover a couple of easy methods here. 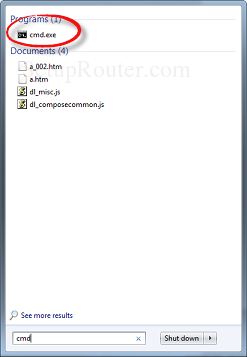 You can use our free Router Detector software to find your router's internal IP address. 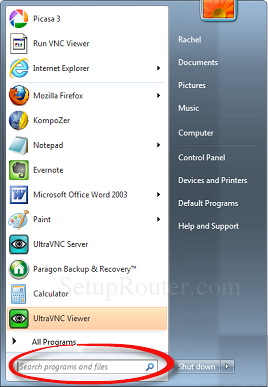 This software tool finds your router's internal IP address and also finds any additional routers that you may have on your network. You can also manually find your router's internal IP address by openning a Windows command prompt and then using the command line tool ipconfig. The following steps will walk you through this process. Step 3: Click on cmd.exe. Step 5: You should see a list of results. Look for Default Gateway. This is your router's internal IP address.